A man came to Budha and said, "I want happiness". 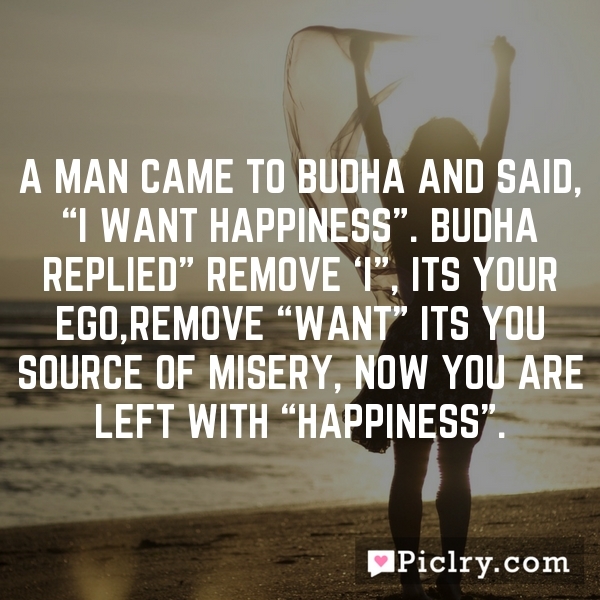 Budha replied" Remove 'I", its your ego,Remove "want" its you source of misery, Now you are left with "happiness". I love hip-hop, because you can do this like that and still be super successful! You ain’t gotta hold your tongue.